Imagine you have got a contact list of a number of leads. You collected it from different sources. So you don’t know if a certain contact is repeating. 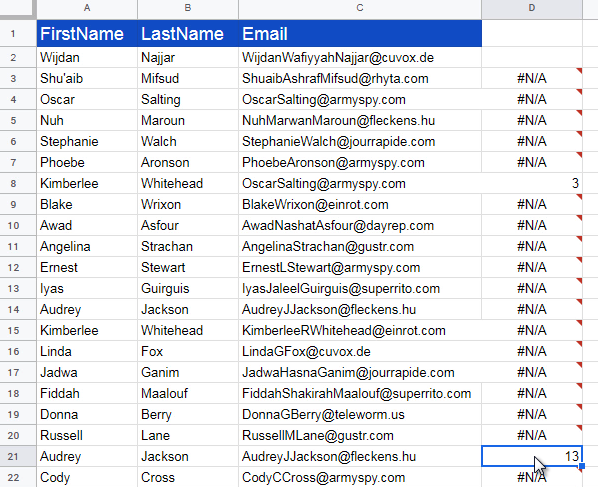 All you want is to search by the email and find all the duplicates. I searched around using Google for a quick solution. However I didn’t find a good one. Many of the articles that popped up proposes UNIQUE() formula. I don’t find UNIQUE() useful in this situation. The best function I found useful to highlight duplicates is MATCH(). I will explain the details below. search_type 1 means the range is sorted and search_type 0 means the range is NOT sorted. The MATCH() function returns the row number where the match is found. 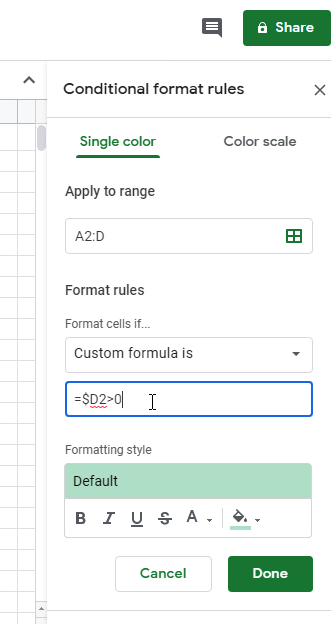 We can just apply this formula to one cell and just copy to the rest of the cells. 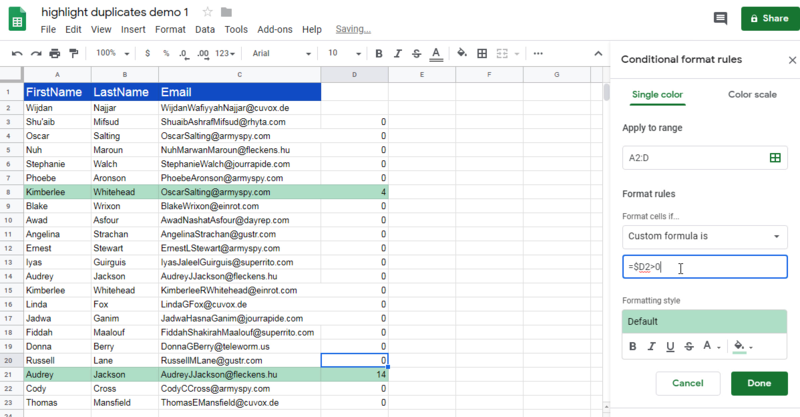 Google Sheets will automatically translate the row numbers. Moreover, notice that in row number 8, it says 3 However, the actual duplicate is in row number 4. So we have duplicate rows highlighted. 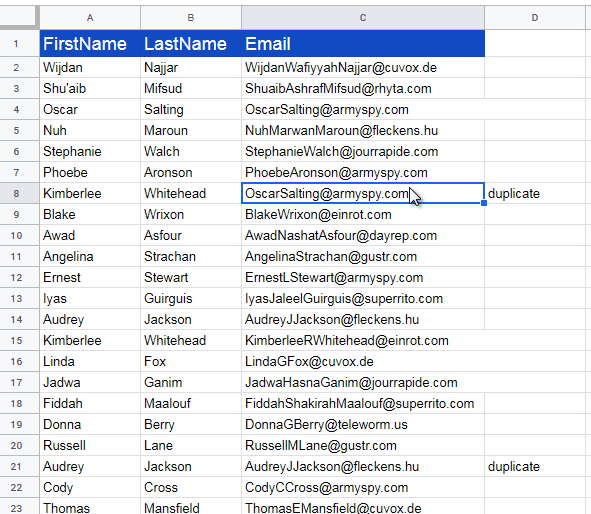 Moreover the row number of the duplicate row is readily available. 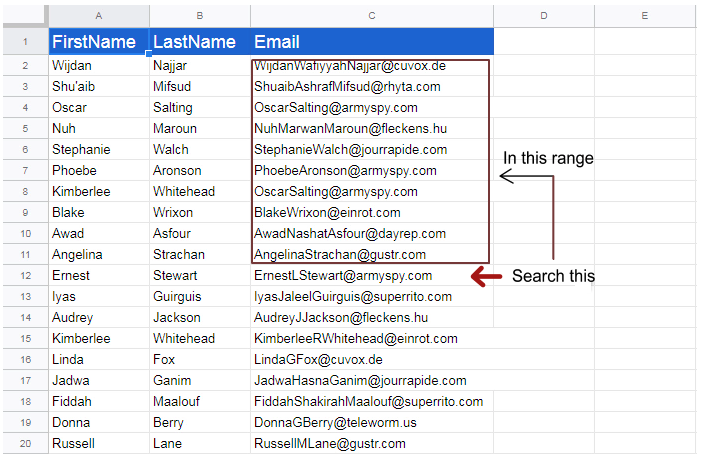 You can filter and delete the duplicate row or use a Query to copy the unique rows to another sheet.